Now a 7-location business, the original Drake General Store opened in 2008 as a retail staple for Toronto’s Drake Hotel. When the Drake team began their search for a POS system, they were primarily looking for one to make managing inventory a total breeze. And as the retail face for an iconic hotel, the Drake also had the customer experience at the top of their list. They needed a POS that could provide shoppers with a smooth, memorable experience throughout the shopping journey. 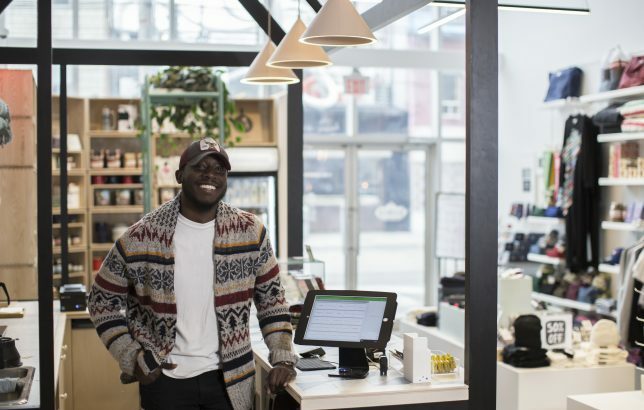 Read our interview with Brand Manager Jermaine Hamilton to find out why the Drake General Store chose Vend! Tell us a little about yourself, your business, and your local community. What’s the Drake all about? The Drake General Store originally opened in 2008 as a retail presence for Toronto’s iconic Drake Hotel. We’re a traditional hotel gift shop, a classic general store, a flea market stand, and a museum shop all rolled into one. We’re proudly Canadian. Our signature neon purple cross, inspired by classic European pharmacies, lets our guest know they’ve arrived not only at a Canadian cultural crossroads, but also at a community-based hotbed for cultural, visual, and performance art, as well as dining, hospitality, and treasure-hunting. Our biggest win with Vend would have to revolve around how we manage our inventory. Vend allows us to store our entire inventory within its operating system — from our warehouse to our 7 brick and mortar locations. Vend acts as our one-stop catalog for product storage and report gathering. Vend plays two roles within the Drake General Store. It acts first as our POS. We use iPad and an integrated system setup with Moneris [payments], creating a quick and easy form of customer engagement at checkout. Second: Vend plays its most important role within our store operations, storing all of our product numbers, information, and inventory. We use Vend to track our inventory across our warehouse and our 7 stores nationwide. From small tasks such as inter-store product transfers to big things like massive store inventory counts, Vend is our go-to tool for all business functions, basic and critical. Vend has always been the POS we’ve used since my start here at the Drake General Store. Seeing how big of a role it plays in our daily operations, I’d say that if we were using another POS prior to Vend, it clearly didn’t suit our needs and couldn’t live up to what we expected. Vend is so intertwined with how we run our store daily that I can’t see us growing and continuing to give our guests the experience they’re used to without it. I would highly recommend Vend to any other retail business, especially if they’re just starting out. If retailers want to start off on the right foot, Vend is the way to go. I’d suggest taking advantage of how well Vend organizes and stores your inventory, as well as how easy it is to pull your daily reports and see in real-time how well your store is doing. Vend’s not just a tool here at the Drake General Store. It’s a valued member of our team. Follow the Drake General Store on Facebook, Instagram, and Twitter, and drop by if you happen to be near one of their 7 stores. The post Vender of the Week: The Drake General Store appeared first on Vend Retail Blog.